San Francisco is a city of hills that are no small feat to scale. 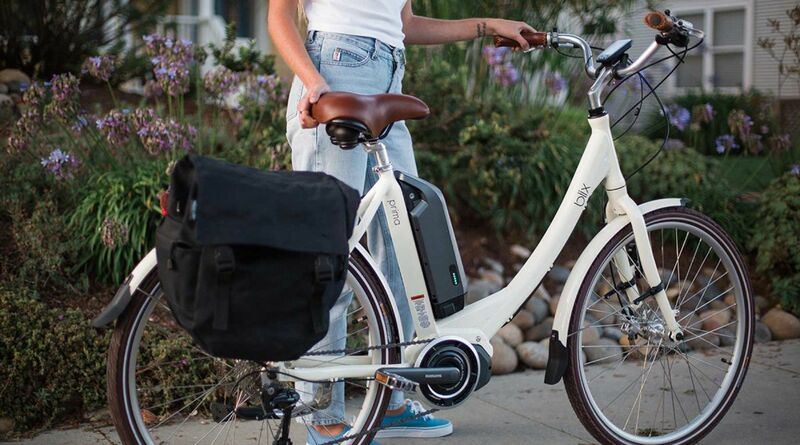 Up on Nob Hill, we know the challenge of an uphill climb, which is why we made no mistake selecting Blix Electric Bikes as part of our bike share program. Blix e-Bikes are regarded as some of the best e-bikes on the market due to their functionality. They aren’t clunky like other electric bikes, and their design gives you that “summertime in Northern-Europe” kind of vibe. Blix E-Bikes are actually the brainchild of Sweden’s Pontus Malmberg, who saw an opportunity in the untapped market of alternative transportation in the US. E-bicycles offer riders pedal assistance, so you can track a lot of distance with less effort, which means less sweat. No one wants to arrive out of breath from a killer bike ride, which is where e-bikes come in. Commuters are more apt to use bikes more often if it’s not wearing them down. Blix E-Bikes have an intuitive pedal assist which can help on uphills, which is supremely helpful in San Francisco. Its lightweight, lithium battery is discreetly located under the saddle and can stay charged up to 60 miles. Blix bikes look beautiful, and they’re also comfortable – a huge plus for users of all different capacities. They’re low to the ground and easy to get on and off of. Ergonomic handlebars provide wrist support, even as you adjust speeds or pedal assist. The handlebars also situated in a way that sweeps back to the rider, instilling an upright posture. This means you not only arrive fresh, but you don’t have back pain later. Unlike other bikes on the market, Blix aluminum frames are lightweight yet sturdy enough to support its quiet, if not soundless, rear-hub motor. Aside from practical issues like strong spokes, rust-resistant screws, and an easy-to-remove battery which can be locked into place, Blix E-Bikes have style, which many compare to the bicycles you find in Europe. Plus, a front basket and rear rack is perfect for whatever you have planned for the day, from grocery shopping to an impromptu picnic in Golden Gate Park. If you’re curious about a Blix E-Bike, our bikeshare program at Stanford Court Hotel is the perfect opportunity for you to give it a spin. We offer both Blix Electric Bikes and New Albion bikes to our guests for use, as included in our Urban Bundle Fee. Read up on nearby Bike Trails We Love to see all the sites of SF aboard your trusty e-bike. Considering a purchase? Blix E-Bikes have positive reviews across the board. Use our special promotion code Stanford50 for a discount on your purchase.